Yesterday was such a bad day. I woke up to the news in Dallas. Stephanie and I talked a lot about what is going on in our country. From the police shootings earlier in the week that lead to this unspeakable act of violence in Dallas, we are a nation on the verge. Forget what political party you belong to, it has come down to all of us doing what needs to be done to preserve this country and restore faith in a multitude of ways. I woke up during the maniac’s hours this morning. I left Stephanie sleeping in bed. We are so excited to have the entire weekend together. My daughter has a swim meet this afternoon it is the second day of a three day meet. Stephanie and I were planning last night as we stayed up just talking about our life we want and we will build together. It is so epic that we are truly a couple! It hasn’t sunk in for either one us, and that is the type of people we both are-always very positive and upbeat. We are so well matched in every category of connectedness. I left Stephanie to sleep while I went to the store with Julia Bleu and made my coffee drink. It was 2:30 am and it was great to be outside with nobody else around. I let Julia Bleu run off her leash. She was a very happy pug! I got home and after writing and posting about not keeping up various story lines, I knew I had to write about volunteering at the soup kitchen for the homeless and needy on Thursday night and my friend Eugene who has opened my eyes to the world of homelessness and not having enough. I sat right down at my desk and fired up my laptop. I first went to read about news from Dallas. I am so grateful it was a lone shooter and it is not people against all cops. I really hope people find some solace in that fact. I finally got blogging about homelessness and my friend Eugene. 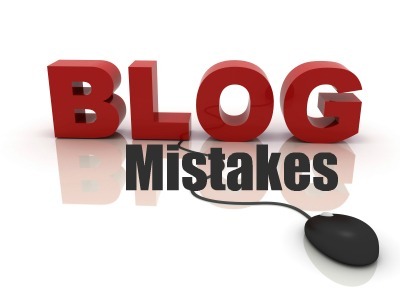 It felt really good as a new blogger to have figured out a bad wrinkle to my posting that affected my readers and my followers. I now after this post have a very long next installment of my journey through anorexia. I hope to finish it today hopefully at the swim meet. It is raining here in the seacoast of NH so there is limited covering at the meet and usually getting a spot under the covering at a table to set up my laptop is not a problem. I have all the necessary gadgets including a mobile Wi-Fi device that just fits right into my knapsack. I am the only person crazy enough to work at my computer while at a swim meet. Whether I am in school or taking two semesters off like I am doing right now to devote myself to my position on the presidential campaign I support. I know you know it is no big secret I am with HER until election day is over on November 8th, 2016. It is a lot of work and I have paid a price in social media as I do try to keep all off both of my blogs. So sorting out my postings and my stories that I have introduced to my readers, is a high priority and I am happy to say by late this morning I had posted on homelessness and Eugene. That is current as I am also with U-ME and my story of love with my girl, Stephanie. My anorexia posts are truly the ones I need to work the hardest at telling the story. It is a challenge for me to dig deep and self-report on my sick feelings and thoughts of a year ago that have improved I am deep into recovery although the weight restoration is slow for me. It is so personal and if I reach only one single person and help them or give them hope, I will have done my job with it and it is the least I can do. What is lacking is what I initially set to blog about: op-ed pieces of varied interests and topics. I wanted to write something interesting each day that came from my head. Instead I have a series of stories that until now I haven’t written evenly for my audience. I now have a blogging planner and I was able to create posts for my op-ed writing I really want to do. Once I finished the blog this morning Stephanie was up and asked me to come lay with her just for a little bit. Once I get up and have my coffee I don’t feel like laying down. I am somewhat invested in my Facebook account and needed very much to spend some time on it this morning. I snuggled with Stephanie and we planned our day. I would write this post and she would go to the grocery store. Then we will eat lunch and wait to head over to the pool as the swim meet part of the day my daughter is swimming starts at 3 pm. It is a very unusual time for her meet to begin. I don’t ever think she has started this late in the afternoon. Stephanie and I will go to that and I will hopefully be able to bring my computer. If it is a downpour there will be no tables for me to set up so I will have to bring some of anorexia journals to continue writing my story. Tonight Stephanie I are going out with our group of friends which is how we met each other. We are going to tell them the big news, which they already knew about our feelings but we never talked about it for two complete years. Tonight will be a nice celebration with people who truly know us and love us dearly. It has been very hard not to tell any of them before tonight. I also bought Stephanie a channel set diamond promise band which I will give to her before we head out for the night. Tomorrow I have to get up early to work on my other blog, but have made Stephanie a promise on Sundays when possible I will come back to bed at 6:30 am. I need to remember I am in a relationship now and it isn’t just me anymore. I am not the best at that, although I am a very good friend and I am very kind and compassionate it is just that I have bare nekkid mania with only Adderall to help manage it. I need to be constantly engaging my mind into something. I have really worked super hard at putting my phone down or leaving it downstairs completely. I get some of my habits and needs are not the best for a relationship and I vow to be the best spouse and fiancé to Stephanie that I can be. Perhaps another round of therapy to work on managing my mania better wouldn’t be such a bad idea. I would love to talk to a person or people who just have straight mania where they are not gamblers, or have any other problems. I have spoken to a lot of bipolar patients however their mania is different than mine and then they have the cycle of depression which I have never experienced. Mania in bipolar is often seen as an agitating state of being. For me personally, I have no off switch, and my mind is constantly looking to be fed or stimulated in an at least a semi-cerebral way. I can’t just sit down and watch a movie that would never work. I have to be engaged otherwise. Tomorrow will be a sort of lazy day until we go to the last day of the swim meet. It starts earlier tomorrow so that will give us the late afternoon and evening before another week is upon us. I cant even go on Facebook right now, everyone is arguing about how they feel on gun control. Well let’s look at numbers, if you don’t know me numbers are my first and most favorite language. In the United States there are between 270-310 million guns in the country. The United States comprises 5% of the world’s population, and no less then 15% of all the guns in the world. Gun ownership is down over 10% but the number of guns has not decreased. Lastly and I have formed no official opinion on gun control, most of the guns that are confiscated out of Mexico come from the United States. I personally don’t own a gun, but I believe people should have some right to bear arms-I think it comes down to what guns and what volume of magazines we allow in our country. I am so happy Stephanie isn’t interested in discussing this subject. I wrote an argument paper last year in a critical thinking course on gun control. I was really torn by the two major sides of the issue. So now you know my plans and what I will blog next after that it will be an op-ed piece that I will write tomorrow. I thank you for reading and if you see obvious ways for me to better present my posts I would really value your input. It was from a reader who brought it to my attention I left her hanging and it wasn’t really fair at all. I am really great with constructive criticism as long as you have a solution as well for me. Happy Saturday and enjoy the rest of your weekend!